I’m a member of the Family Christian Bloggers and they provided me with a free copy of Jason Crabb: “Through The Fire” for this review. Gospel singer, Jason Crabb is back with a brand new album. “Through The Fire” that features some of his biggest hits. He was a member of the Crabb Family before they retired. He won a Grammy award in 2010 for his self-entitled album for Best Southern/Country/Bluegrass Gospel album. His album was also nominated for a Dove Award. One of my favorite songs on the album is entitled, “Somebody Like Me” because this one describes a story of a drunk man entering the church and he is needing help and love. The church isn’t moving off their pew to reach out to him and show him the love of Christ. Jason asked the important question who will be that somebody. He performs this song as anthem to believers to be that somebody. I liked how this song had such a powerful message that Christians need to reminded of daily. We don’t have to be afraid to step out and be a friend to someone who is in need of a true friend. I liked how the choir in the background chorus gave this song a Heavenly sound to the track. Another track, I also liked was the hymns medley (The Everlasting Arms/The Meeting in the Air/ I’ll Fly Away) Live because this one is a true Gospel track and it reminded me of the church I grew up in and we would sing these songs to glorify God and to remind us of the Heaven that awakes us. Another favorite is the title track, “Through the Fire” because this one is meant to encourage believers to hold on to Jesus when life circumstances attempt to take us under and we must always remember that God will take us through the fiery storms we encounter. I also liked the track, “Love Is Stronger” because this one describes how when we go through a difficult trial, it’s critical to reminisce that love is stronger and it will bring us through. My favorite song one the album would be, “Give”. I have heard the song before sung by country artist, LeAnn Rimes. I liked Jason’s version a little more because it has more of a beat and the tempo is increased. This one reminds us in order to get love we must give it and if we want to be forgiven, we must also forgive the people who have hurt us. The whole album is filled with uplifting songs that will inspire and resonate with believers and nonbelievers and make an impact on their lives. This is the very first album I have listened to by Jason Crabb and I will definitely be checking out his other albums. I am now a fan! I liked how the album had some upbeat tempo songs as well as soulful slower songs. I also liked how it had some live versions of some of the songs to enhance the album. Jason Crabb has amazing vocal capabilities and you can tell he means every word he is singing. If you’re looking for a new gospel/country album, then check this one out! 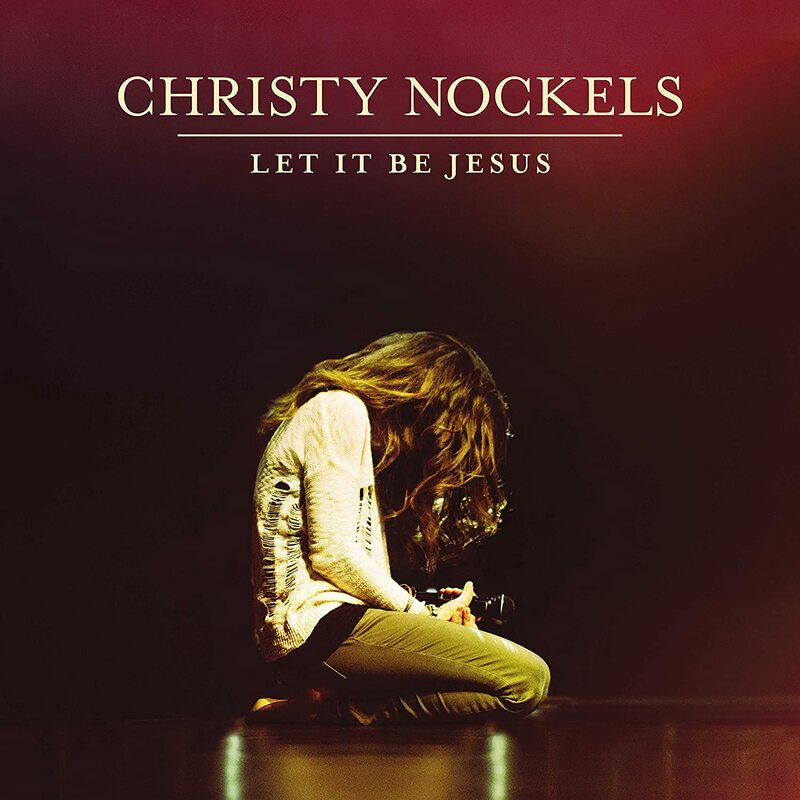 Christy Nockels is back with a brand new live album entitled, “Let It Be Jesus” which releases today, April 28! One of my favorite songs is the first song off the album which is an upbeat track called, “Freedom Song”. This one describes how Jesus sets us free from our difficult circumstances, addictions, and gives us healing and deliverance and freedom from the past. This one will make you want to get up and dance and praise God for all He has done for you and for all He is yet to do in your life. Another favorite is “Everything Is Mine in You” because this one is a great reminder not to let fear to control our life and to draw close to the Father. In Christ, we have everything we could possibly ever need. I also enjoyed the title track, “Let It Be Jesus” this one conveyed the importance of proclaiming the name of Jesus in the mist of struggles and trials and it is a powerful worship song that leads you into God’s Holy presence. My all-time favorite song on the album is, “If You Never”, this one explains how God showed up right on time and how we will keep praising God even if He never did anything else for us. The fact that He died for our sins is enough. I liked the intense feeling this song has and it has a wonderful beat and I liked the background vocals brings the song even more to life. The whole album is filled with worship and positive praise music which will assist you in connecting with the Father on an even greater level! If you’re looking for a new praise and worship CD, then check this one out! I’m a member of the Family Christian Bloggers and they provided me with a free copy of Buried Secrets for this review. Buried Secrets is a romantic suspense series that features three brothers who all have military background. A dead body is discovered buried deep underground by a construction crew in Missouri. The chief of police and former homicide detective, Lisa Grant and Detective Mac McGregor is called in to investigate the troubling case. Detective McGregor is an ex-Navy SEAL who left the force for a safer career choice. The two first meet while investigating the deadly crime and they are determined to find who out who the person is that was murder. Meanwhile, they also are slightly attractive to each other and there is a budding romance that they are trying to put on hold until after they solve the case. The person who committed the crime is also trying to stop them from discovering the hidden truth. Will they survive and get justice for the person killed? I would recommend this amazing suspense packed series to anyone who enjoys mystery mixed with a little romance. This is the first book that I have read by Irene Hannon and I will definitely be checking out her other books. I immensely liked how Irene Hannon described the dramatic scenes as they were unfolding and I was instantly captured into the storyline. While reading it, she begins the book by revealing who committed the crime but not why until later. I thought this was a unique approach in this mystery novel, since many novels expose a little bit at a time to let readers guess who might have committed the crime. My favorite character was Mac McGregor because I liked how he had an intense charm about him and how he was desperately trying to win Lisa’s love. This book also included an excerpt from the next book in the series and this one is about Mac’s brother, Lance McGregor. I can’t wait to dive into the next book in the series! If you’re seeking a new summer read, then this is the book to pick up! Family Christian has graciously provided me with a Family Christian $25 appreciation certificate to giveaway to a lucky reader! Against the Flow is an excellent theoretical resource that covers the entire book of Daniel. John C. Lennox did a wonderful job at researching and describing the background of Daniel and the city of Babylon to readers. The book contains over 400 pages of text and as well as discussion questions at the end of the book. It also included pictures of the city that really brought the message to life. I immensely liked how John C. Lennox connect the scriptures back into today’s times where the readers could see how the world is still living like the city of Babylon. I would recommend this amazing book to anyone who enjoys historical books and would like to explore the dynamics of the book of Daniel in vast detail. Daniel's story is one of extraordinary faith in God lived out at the pinnacle of executive power. It tells of four young men, born in the tiny state of Judah around 500 b.c., and captured by Nebuchadnezzar, emperor of Babylon. Daniel describes how they eventually rose to senior positions of administration. 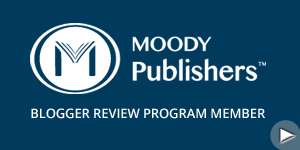 "I read everything John Lennox writes because of his amazing blend of rigorous scholarship with practical insights and applications for all of us. You cannot afford to miss this important book! Read it, then pass it on to a friend." John C. Lennox is professor of mathematics at the University of Oxford and fellow in mathematics and philosophy of science at Green Templeton College. He lectures on faith and science for the Oxford Centre for Christian Apologetics and is author of a number of books on the relations of science, religion, and ethics. UP TV Offers New Service gMovies! I really enjoyed using the brand new gMovies service offered by UP TV Network. I loved that users can watch movies on their desktop computer and they can also download the exclusive app available on Apple devices and Android devices to watch the movies. I downloaded the app and watched a few movies, “For the Glory”, “Accidental Activist”, “Love Covers All”, “Walk by Faith”, “Seven Deadly Words”, and “The Freedom of Silence” just to name a few. I also loved how they had the first two original movies of the “Left Behind” series. I really liked how all the movies are Christian based and there is something for everyone to enjoy. They have movies from family friendly cartoons, end times movies, comedy, drama, romance, Christmas, documentary, Bible movies, and much more. They also have a few TV shows such as Bulloch Family Ranch and Family Addition with Leigh Anne Tuochy. I liked that the movies were completely clear as if you was watching the movie on TV. I also like that the price is only $4.99 a month and it’s not too expensive compared to other streaming services. 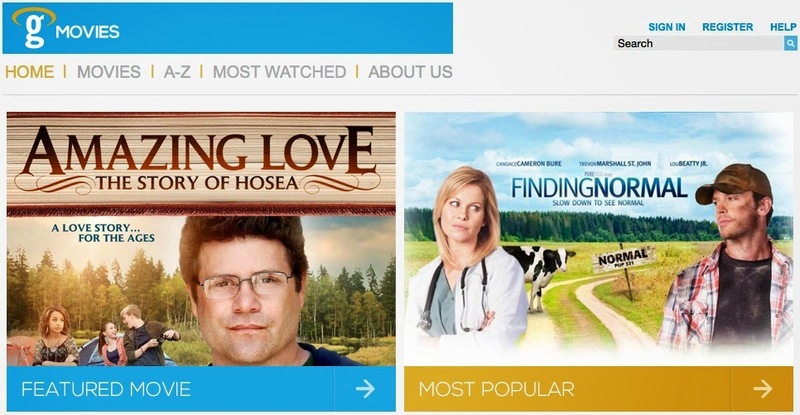 If you’re looking for a new streaming movie service filled with Christian based movies, then check out gMovies! In Get Your Hopes Up, Joyce Meyer explores the importance of being joyful and hopeful every single day of your life. Many different circumstances attempt to steal our joy and leave us feeling hopeless that things are not going to get any better, and if we aren’t careful we will miss the happiness and abundant life God has planned for us. Joyce strongly suggested to readers that they must raise their level of expectation and she shares three practical ways. The first one is believing and having faith in God and His mighty written Word and believing His promises for you. For example, Isaiah 30:18 talks about how the Lord is longing to be gracious to us and He gives us mercy, peace, His love, favor, victory, joy, and much more. Throughout the book, she shared how we need to be prisoners of hope and how to be filled with joy. One of my favorite chapters was entitled, “Identify and Eliminate Every “Can’t”. This chapter discussed the common lie many believers believe and declare over their own life. Joyce shared that we must eliminate and stop using the words, “I can’t”. In this chapter, she explained how Biblical characters struggled with making excuses as to why they couldn’t do what God was calling them to do. For instance, when God called Moses to set His people free from Pharaoh. Moses used the excused that he couldn’t talk well and God should send someone else. Another example was when Abraham was told he would be the father of many nations and that Sarah would conceive a child. Sarah thought she was way past her fertility years and it wouldn’t happen. As we all know, God was with them and through Him they were able to accomplish and do what He has called them to do. Joyce reminded readers that they can also do all things through God. I would recommend this life changing book to anyone who is feeling hopeless and they are always worried about tomorrow being worse than today. I liked how Joyce encouraged readers to expect something good is going to happen today. I personally also believe that if readers would believe this powerful truth it will greatly benefit their lives. I loved the amount of scriptures she used to convey the truth behind her message of hope and expecting something good to occur in our lives. She even had a special section at the back of the book filled with even more scriptures. I really resonated with the chapter called, “Look Up” because Joyce revealed that it’s critical to look up when we’re confused, frustrated, fearful, and hopeless about our life. She shared the potent passage found in Psalm 121:1-2, David knew his true help came from God. I liked how she shared that many people look unto our friends, our spouses, and ourselves to find happiness and contentment when we need to look unto God. I have decided to take the 30 days challenge of hoping and expecting the best to happen. I encourage you to read this book also and to take the challenge! If you’re looking for an excellent book on increasing your level of joy and hope, then read this book! Grace of God is a movie starring John Ratzenberger, Erin Bethea, Lorenzo Lamas, and much more. The plot is about a church’s offering plate locked in a safe is stolen. The theft was able to obtain over $30,000. The church decides to ask a detective to help investigate the crime. The detective doesn’t believe in God and is very critical of Christian and the body of Christ. He interrogates a number of church members and makes most of them feel uncomfortable. He explores their past trying to get to the bottom of the crime. He finally gets one church member to confess to the crime. The church has a decision to make will they offer forgiveness or will they cast the first stone. I would recommend this awesome movie to anyone who enjoys faith filled movies that contain a powerful message. The acting was superb and the characters brought the story to life. I really liked how this movie was clean for the whole family and it contained an excellent message about the Ten Commandments, forgiveness, grace, unbelief, and the importance of faith. Although, this film is a fictional film it very well happens because one of my old church members stole from my former church so it doesn’t surprise me. And as congregation we choose to forgive. When I was watching the movie, I was trying to figure out who took the money and why and it kept me guessing until the very end. I was shocked to discover who really committed the crime. If you’re looking for a new movie to enjoy for family night, then watch this one! I’m a member of the Family Christian Bloggers and they provided me with a free copy of Beyond Championships for this review. In Beyond Champions, Coach Dru II shared ten powerful principles he learned in his life and how they have influenced him as a coach. Some of these included, “The Beauty of Rock Bottom”, “The Power of Words”, “Dare to Dream”, “Take Charge of Your Mind”, and much more. He began the book about how decisions create the environment in which we are living in and they have an impact on the rest of our lives. He worked for a business corporation, ConAgra for 25 years and he was making a good living. He eventually discovered he wanted more and he wanted to follow his true passion, coaching basketball, and working with the young. Leaving his good paying job and changing careers was a tough decision but he realized this choice changed his entire life. He strongly believes in teaching his players the importance of making right decisions and asking themselves where they want to be in the next few years and making sure they plan for their futures. One of my favorite chapters was, “Use the Game; Don’t Let the Game Use You” because this one he opened up about his son, Dru and how he encouraged his son to press on even when it looks impossible. Dru had a dream of playing basketball but he is only five foot two and he struggled with insecurity. People would constantly criticize him for being short and they thought he wouldn’t be able to effectively play basketball. In the Divison III state championship game, when Dru was a freshman, his coach decided to send Dru out into the game. His team was three points down and Dru shocked the audience when he scored seven three pointers and won the game with 21 points. He now plays professional basketball in Germany. He didn’t let people stop him and tell him he couldn’t do it, he pushed on to accomplish his dreams. I would recommend this prevailing book to anyone who enjoys sports and reading a book that has a potent faith built message. I liked how Coach Dru shared personal stories ranging from his past relationships, to meeting his wife, raising a family, business field, and coaching. He was very transparent throughout the book about his disappointments, mistakes, and triumphs and what he learned through the ups and downs. This book taught me the importance of planning for the future and making wise decisions because they affect my life and others. This book would make a great gift to any youth sports fan as well as adults. I’m a member of the Family Christian Bloggers and they provided me with a free copy of Life Is_____ for this review. In Life Is_____, Judah Smith shared the true meaning of life and how we can live our lives to the fullest. He revealed four principles that will radically change reader’s existence, “life is to be loved and to love, life is to trust God in every moment, life is to be at peace with God and yourself, and life is to enjoy God”. God has an illogical love towards His people and He desperately wants to have a personal relationship with them. Judah begins the book by exploring how Adam and Eve ate from the forbidden tree when God instructed for them not to. This allowed sin to enter the world and God in His wonderful love for His people sent His only Son to die for all our sins. This is the true act of selfless love and it demonstrates how love can change our lives. He discussed countless Biblical characters throughout the book from Jesus, Peter, John, Hosea, Mary, and much more and how we can learn from their lives how we are supposed to living our life and enjoying life. One of the powerful lessons, I learned in this book was about Hosea. He was commanded by God to marry a prostitute, Gomer and they would bear children. They eventually get married and have children. And one day, she leaves him and returns to prostitution and God tells Hosea to go chase after her and take her back to be his wife and he is told to love her. He finds her and he has to buy his wife back in order to save her out of prostitution. Judah walks readers through this story and he compares it to how we are all broken and lost and are still enslaved to sin. But the great news is, God can still redeem us if we let Him in and receive His salvation. I would recommend this astonishing book to anyone who is struggling with understanding life’s true meaning and they are seeking more out of life. I would also recommend this book to people who are wanting to grasp the scope of God’s limitless amount of love for His people. This book is a wonderful resource and it has helped me to comprehend and imagine how much God truly loves His creation. I liked how Judah Smith wrote in a contemporary way to make the Biblical stories come alive. I immensely liked the chapter, “Trust Grace” and this one talks about forgiveness. I liked how he shared that in his marriage when they have a fight they have a contest to see who can ask for forgiveness first and grace has dramatically changed their lives. If you’re looking for a book that will assist you in understanding more about the meaning of life and how God truly does love us, then read this book! Family Christian has graciously provided me with a Family Christian $10 appreciation certificate to giveaway to a lucky reader!